We enjoyed our last mason jar of salsa that I canned from last season. It was a sad but rewarding afternoon. It was awesome to get through the whole winter with never having to buy salsa, but now the sadness sets in as I realize I still have quite some time before my tomatoes are ready for harvesting. I bought a jar of salsa last week when we had mexican. 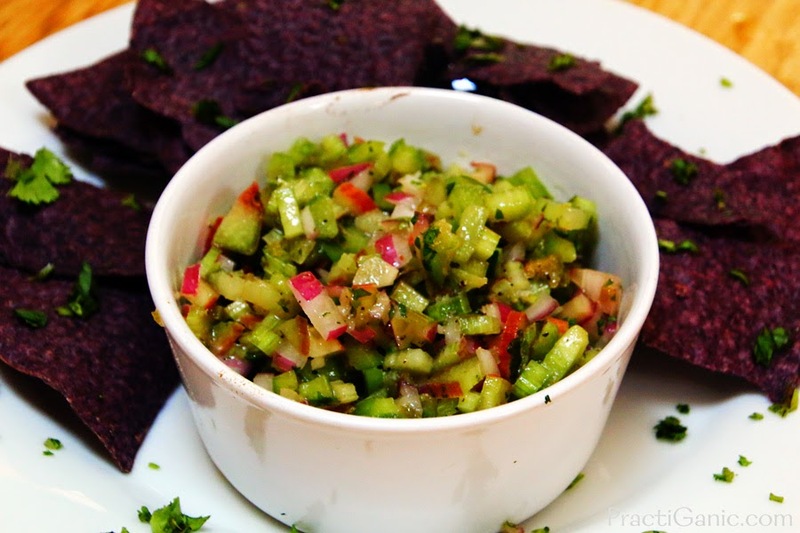 I can't believe how much I was already missing my garden fresh salsa ... can I go another month or so without it? Yes, I know I can buy tomatoes from the store and make fresh salsa, which I will do, but the tomatoes just don't have 'thee' flavor yet. 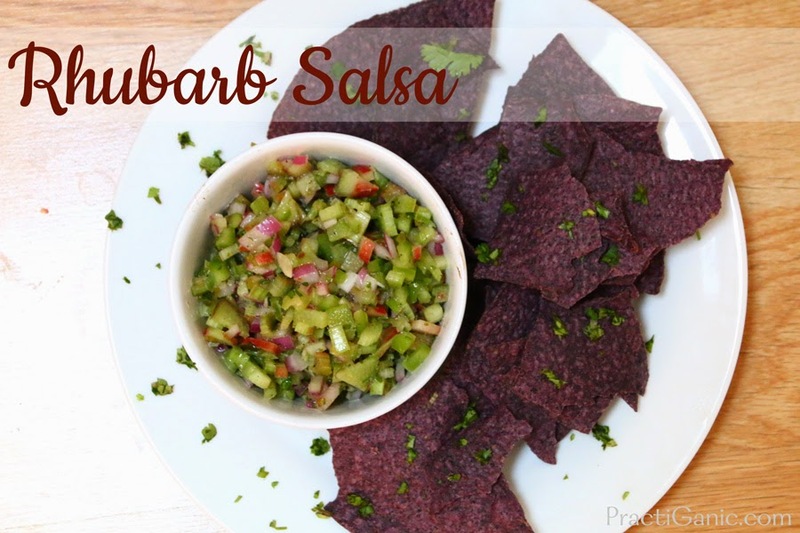 I had a little rhubarb left from the stalks that a friend gave us and decided to do a rhubarb salsa. I was as little nervous about the tartness of the rhubarb so I cut it with a little honey and it did just the trick! It wasn't too sweet, but not to tart either. It did have a good kick from the jalapeno, so make sure to add that to your liking. I'm having so much more fun with my rhubarb this year than in years past. I feel like rhubarb generally equals sweets but it makes a great savory dish too. Last year, we got rhubarb in our CSA basket and I'm waiting and saying a little prayer that we get some this year too. Rhubarb Salsa might be able to fill my salsa craving until my tomatoes come in. Don't forget to try Rhubarb Bruschetta with Goat Cheese too! Mix all ingredients in a bowl. I like it best after it sits for an hour or two.